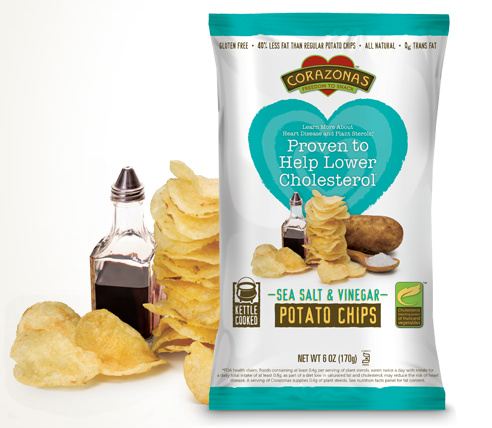 For a lesson in why front of package health claims are a terrible, dangerous, and deceptive practice look no further than Corazonas. Well they're a company whose entire product line is leveraged by large, loud, front of package health claims. They're also a company whose entire product line consists entirely of junk food. Cookies and potato chips to be exact. And while you might be able to make the case that at least Corazonas cookies and potato chips are quite as bad for you as their alternatives, not quite as bad for you certainly doesn't suggest good for you, and psst, guess what? I've got a secret to tell you, COOKIES AND POTATO CHIPS AREN'T HEALTHY FOODS! Now that doesn't mean you shouldn't ever eat them, it just means you should eat the smallest amount of them that you need to enjoy your lives. And please, for the love of everything holy, don't ever eat them with the impression that doing so will be good for your health - because that's just plain stupid.